Last Week I talked about the books I hope to read in 2016 that I already own through the #RockMyTBR reading challenge! 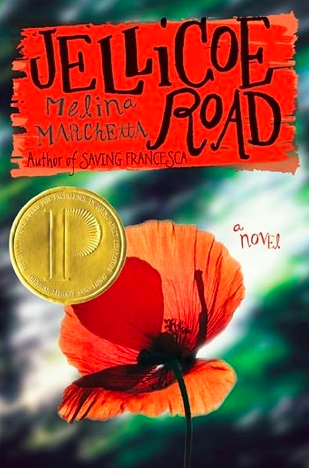 This week I am completing the book tag to go along with this! It was a lot of fun, a bit nostalgic, and helped me focus on the books I really want to make sure I get to next year. 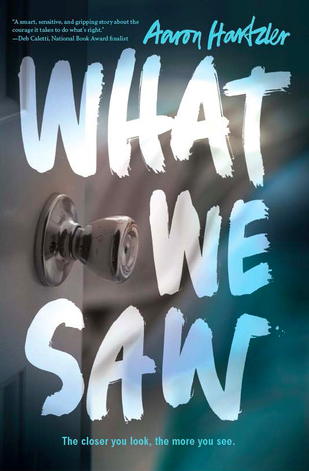 I received What We Saw by Aaron Hartzler earlier this month, and am excited to get to it early next year! 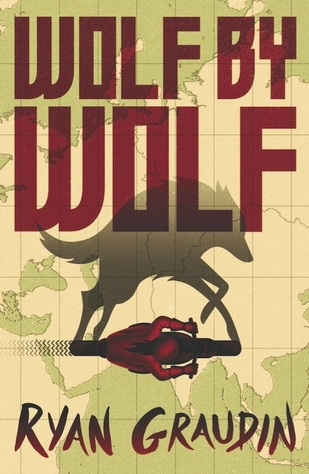 Wolf by Wolf by Ryan Graudin has intrigued me since I first read about its publication. An alternate version of history where a girl sets out to kill the victorious Hitler…? 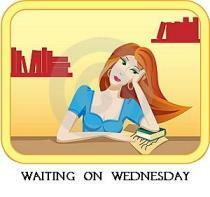 This is one I definitely have high on my TBR list! 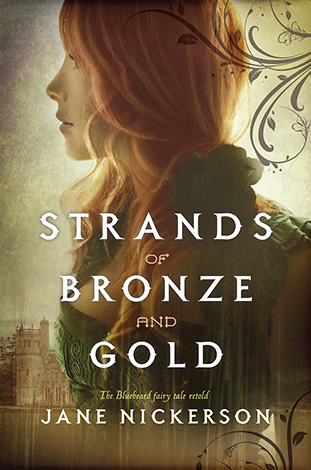 Strands of Bronze and Gold is a twist on the BlueBeard myths, which is a retelling I have never come across before. It’s one I purchased off Book Outlet after the synopsis caught my attention. 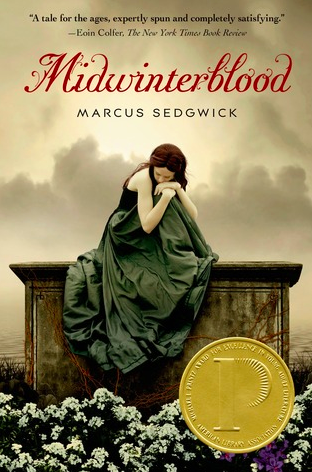 Midwinterblood is one that time hops and involves some other than human characters. I got a really strong Cloud Atlas vibe when I bought it a few years ago. 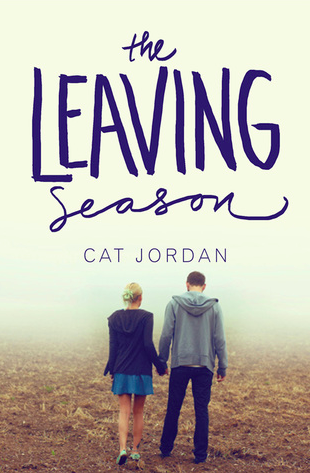 It will be nice to finally have this off my TBR! I fully anticipate needing some tissues for this one! 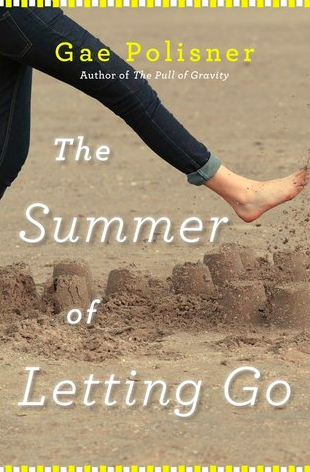 The Summer of Letting Go follows a girl work through her grief and guilt after the death of her younger sibling. After reading Never Fade I went a bit lukewarm with this series. Hopefully my excitement picks back up as I read the last book in the Darkest Minds Trilogy. 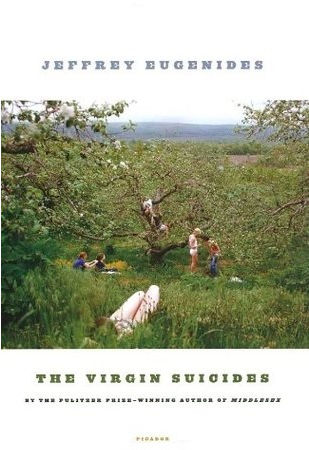 I picked up The Virgin Suicides by Jeffrey Eugenides at a used book store in the early part of last year. 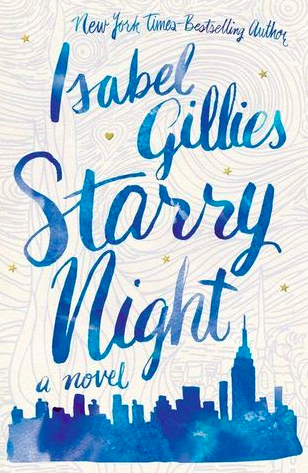 I feel like this is something of a YA classic that I should have gotten to by now. 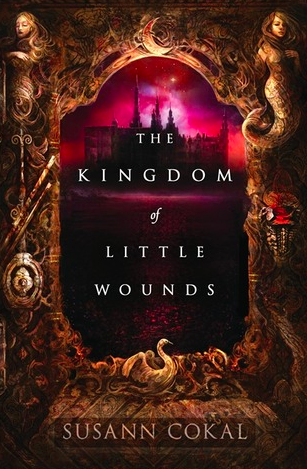 I tried reading The Kingdom of Little Wounds right after finishing Queen of the Tearling which I think was my big mistake! Hopefully I’ll be able to get more invested in this, now that I haven’t read anything like it in a few months. So there it is! 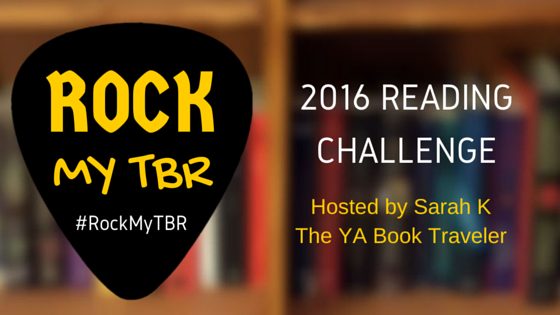 I challenge anyone else who is doing the #RockMyTBR reading challenge to do this book tag! 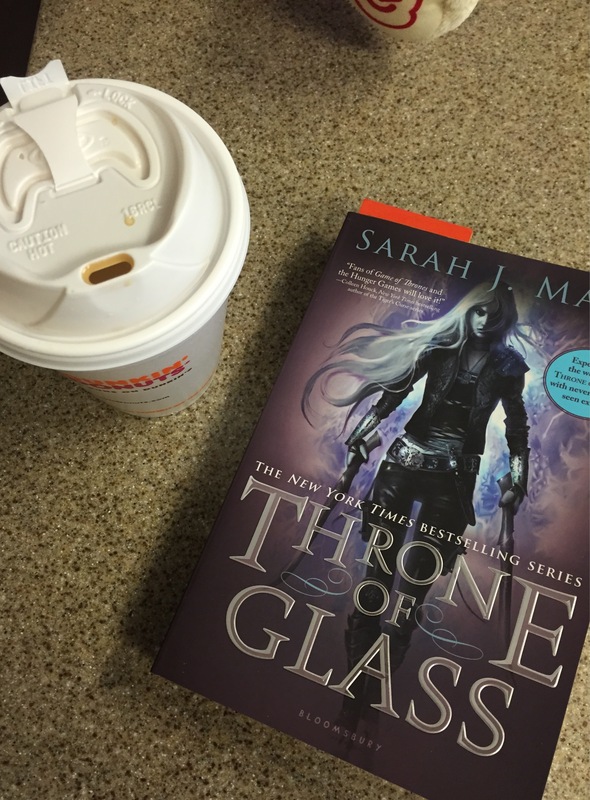 Throne of Glass is a fantasy novel about Calaena Sardothien, an assassin who has just spent a year sentenced to working in Salt Mines after being caught. The Crown Prince, Dorian, has had her released on the condition that she will compete in a competition to find the King of Erilea’s next Champion, or assassin. Calaena agrees on the condition that if she wins, after 4 years of service she will be free. As the competitors begin completing tasks and slowly being eliminated, they soon have additional concerns as someone has started to kill competitors outside of the specific tasks. Calaena now has to find a way to survive these attacks while also building her strength to succeed in the tournaments. Also distracting her is a new friendship with the Princess of a neighboring nation that is being threatened by Erilea, as well as the romantic feelings she has for her guard Chaol and the Crown Prince. Trying to overcome all of these factors, Calaena must put other thoughts aside if she hopes for a chance for her freedom in the foreseeable future. Review: So I will put a disclaimer out right in the beginning of this review stating I might be a little more harsh on this book than normal because of all the hype that is surrounding it. 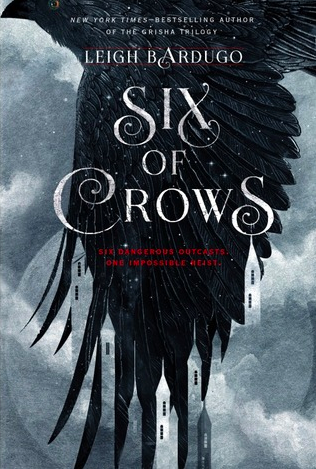 Because Queen of Shadows, the 4th book in this series, came out this month I have been seeing a lot of raves about it and thought I should finally get this series read. It was almost painful at times trying to get through this book. 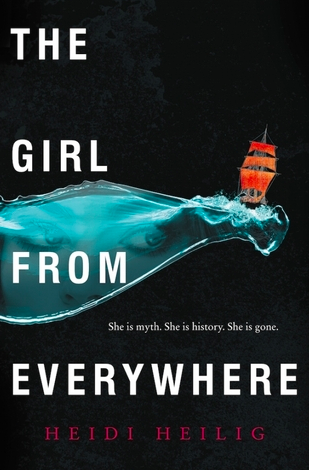 I think the main problem I had with trying to get into this novel is it is completely inconsistent. Calaena is supposedly the greatest assassin in Erilea, however her characterization and the way other characters in the novel treat her don’t align with this at all. This is supposed to be a character that broke her own wrist when she was still a preteen in order to become a stronger fighter in her less dominant hand, however, throughout the whole novel there were constant complaints about blisters, uncomfortable high heels, having to walk in wet shoes. I found the amount she whined made any of her previous claims and experiences unbelievable. Also the way the male characters treat her also undermine her claim to greatness. Her tendency to become a Damsel in Distress around Chaol, was really at odds with her background and it kept me from being pulled into the story. I also felt a lot of plot decisions were made because they were necessary for moving the story forward but did not make sense with the setting the author had created. Having guards constantly around the Princess and Calaena for protection, and then having them just randomly be out of sight the one time somebody approaches them and makes a threat just does not make sense. 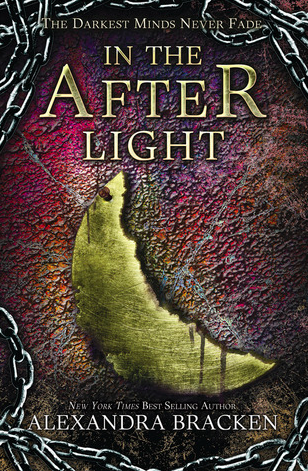 I have heard that the next novels in this series do get better as they continue, but because of the awful experience I had reading this book, I really have no interest in learning what happens to these characters or seeing how their stories resolve. 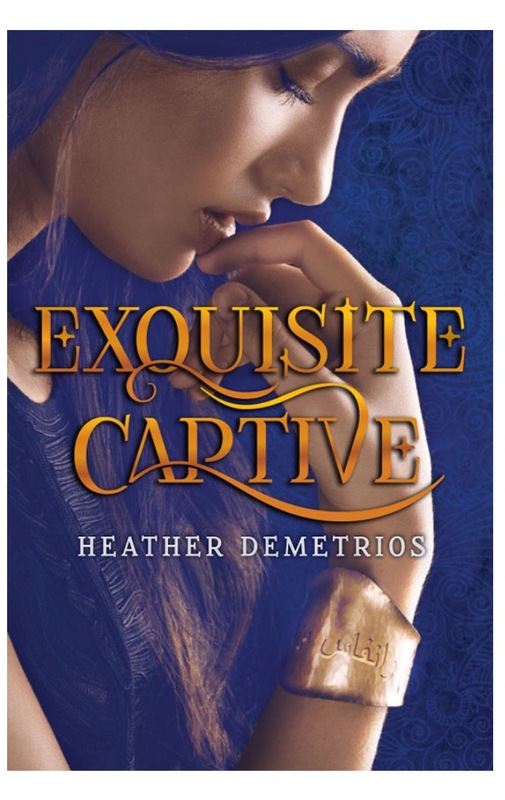 Exquisite Captive is the first book in the Dark Caravan Series and surrounds to myth of genies(jinnies) and their interactions with humans. After years of political unrest, the jinnies homeland of Arjinna has been overtaken by the darkest group of Jinn who pull their power from fire, opposed to other jinn who pull from wind, water, and earth. These jinnies have begun a slave trade between Earth and Arjinna called the Dark Caravan, where wealthy humans who seek to gain more influence in the world purchase jinnies to grant them three wishes. Nalia is a jinni from the warrior class of jinn who has been sold to a wealthy man who has found a loophole in the three wish stipulation. Instead of making three wishes, he instead has her grant wishes for his clients in return for favors and business transactions. While searching for a way to become free from her shackles, Nalia begins working with a rebel leader named Raif, who seeks to right the injustices in Arjinna and end the slave trade. They must work together despite their classes past conflict and find a way to help the jinn both on Earth and in their homeland. Review: I found Demetrios’ description of the different classes of jinn and their characteristics interesting. I also thought portraying jinn granting wishes for humans as a form of slave trade was really effective. However, other than that their wasn’t anything in this novel that really stuck out to me. 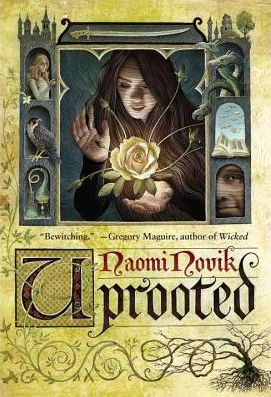 I felt like the major plot points in this book are all pieces I have read in other YA fantasy books and have been written more effectively. This was especially true of the romantic relationship between Nalia and Raif. Maybe its because of the amount of fantasy I have read recently, but I just didn’t find much chemistry between them. The one part of this novel that I have a real issue with however, were the romantic/lustful feelings that Nalia felt for her master when he began to express an interest in pursuing her romantically. He spent years imprisoning Nalia and torturing her by placing her in a container that would slowly suffocate and poison her for months on end. I realize that her reciprocating his feelings had more to do with the effect of their souls interacting rather than her true feelings for him, this was still something I did not find okay. Falling Kingdoms is a multiple point of view fantasy that follows the events and interactions between three kingdoms in Mytica. This story is told primarily from the perspective of three characters. Cleo is the second born princess of the wealthy and bountiful kingdom Auranos, who spends a great deal of the novel coming of age and trying to understand her role in a murder that occurs in the beginning of the novel. She also spends a great deal of her story making it her mission to try and find someone to save her ill sister, who is heir to the throne. Jonas, is a wine-seller’s son from Paelsia. He is from an impoverished kingdom and after tragedy befalls his family, he seeks revenge by working to support an uprising to overthrow their southern neighbors. Paelsia has been living in squalor since a century old agreement with southern Auranos has gone bad, leaving Paelsia in an economic free fall, and agricultural hardship. Prince Magnus of Limeros is the last character that the reader follows within this novel. 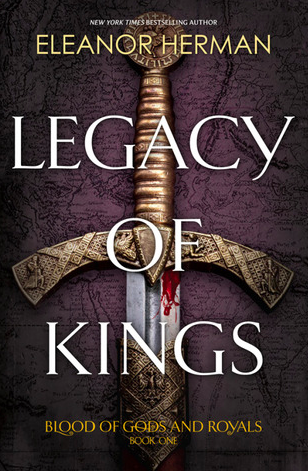 Son of a blood thirsty king, 17 year old Magnus has worked to create an air of indifference to survive his father’s cruelty and hide his dissension with his decisions. Discord within Mytica, forces Magnus into the focus of his father’s attention, and he must confront the disharmony between his conscience and what his father is doing. This is all occurring while he is also trying to guard a secret that could destroy his closest relationships and fill him with shame. While all this is occurring, God-like figures called Watchers, take on the form of hawks and observe all that unfolds. They are hoping to discover the powerful sorceress whom was prophesied to be born and could help them regain the powerful magic that has been taken from them. All these characters collide as uncontrollable events much larger than them begin to unfold, causing loyalties to change and secrets to be revealed. Cleo, Jonas, and Magnus are all put through this violent rite of passage that uncovers their true nature and how they react under pressure. 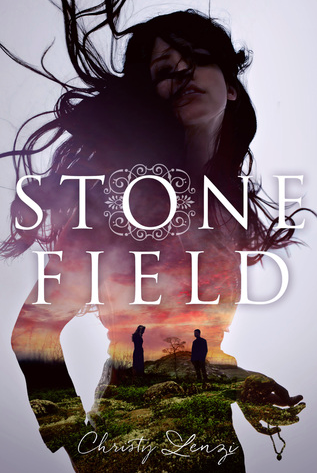 Review: This was a really well-written fantasy. I was concerned when first starting it because their is a large cast of primary and secondary characters and was worried that I would get bogged down in keeping everyone straight and not be able to pay much attention to the plot. However, Rhodes does a phenomenal job of giving each character a very unique set of characteristics that painted a clear picture of them in my mind. 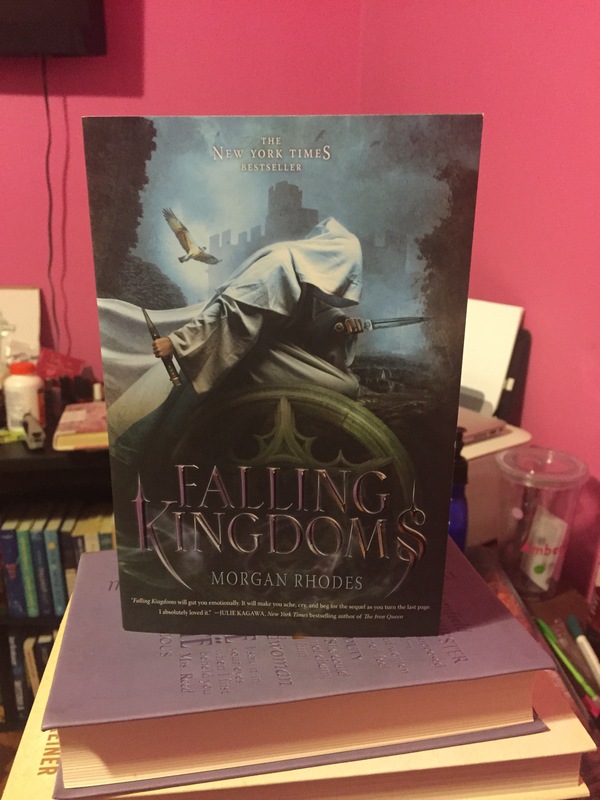 Falling Kingdoms had really great character development in this novel alone and it makes me very excited to see how these characters will be changed even more in future books. A great example of this was Prince Magnus. In the beginning of the novel, he was a favorite character of mine. He had a really heart breaking childhood and although he worked hard to appear indifferent about his father and his discontent, it was clear that he was affected. But because of very believable events and the more negative aspects of Magnus’ character he becomes less appealing as the novel moves forward. He is an example of the complexity of people and the effect nature can have on them. Rhodes captures this in all of the characters really well. I am excited to continue this series, and find out the future for Mytica.